With stunning lines and an aggressive design, this is Renault's boldest and most audacious car to date. With its straight lines, edgy radiator grille and prominent shoulders, the Renault KADJAR exudes audacity. Inspired, robust and athletic, it never leaves your side. Its spacious and comfortable passenger area is well-lit and brings you all of the adventure with a real sense of sophistication. Adapt to your surroundings and see the world with the all-new KADJAR. With its natural height and three gear modes including, 4WD, 2WD Extended-Grip and 2WD, the Renault KADJAR, available at Charles Hurst Renault, allows you to take on new horizons. Welcome to the real world of crossover technology. Experience a world of fuel efficiency, drive-ability and pure pleasure with the all-new KADJAR. The Renault KADJAR engines feature a wide range of new technologies, helping them reach unprecedented levels of economy and energy. 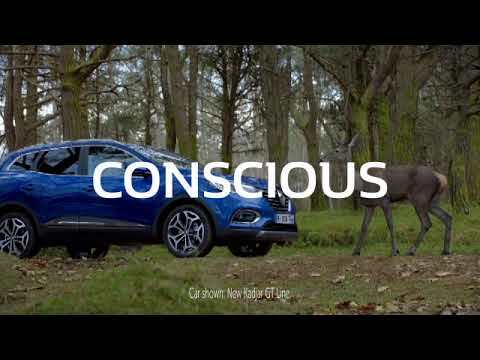 Book your test drive in the New Renault KADJAR here and you can be one of the first to test drive Renault's ground-breaking new Crossover in Belfast, Newtownards and Newtownabbey. We'll also keep you updated with news of our showroom launch.